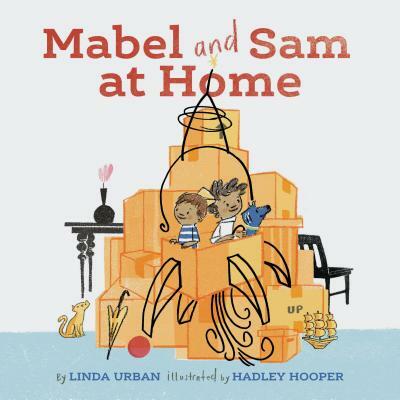 This playful and endearing book celebrates imaginative play as Mable and Sam move into a new house and make it their own. They sail the high seas of their new home, tour the intriguing museum of their living room, journey through outer space to the safety of their own beds, and discover how far afield—and how close to home—imagination can take them. Funny and engaging, this celebration of moving in and settling in is both heart-warming and house-warming. Linda Urban has written several award-winning novels and picture books for young readers. She lives in East Montpelier, Vermont. Hadley Hooper is an illustrator and painter. Her 2014 book, The Iridescence of Birds, by Patricia MacLachlan, was named a Kirkus Reviews Best Children's Book. She lives in Denver, Colorado.